ARE AMERICANS AFRAID OF THE FUTURE? OR… DOES THE NORMALCY BIAS BLOCK A VALID FEAR WE ARE ON THE ‘EVE OF DESTRUCTION’? Do most Americans fear the apocalypse? 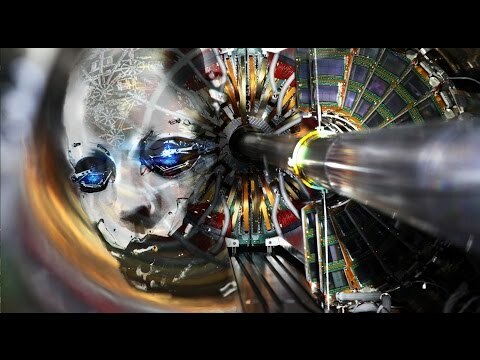 Is doomsday just around the corner? Or are more Americans complacent than fearful? 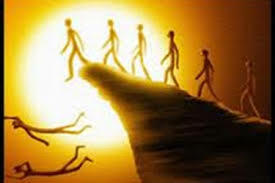 Or worse, are most Americans willfully avoiding an approaching cataclysm because they are swayed by the ‘normalcy bias’? 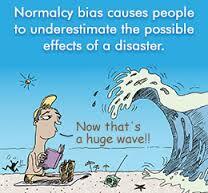 The normalcy bias, or normality bias, is a mental state people enter when facing a disaster. It causes people to underestimate both the possibility of a disaster and its possible effects. This may result in situations where people fail to adequately prepare and, on a larger scale, the failure of governments to include the populace in its disaster preparations. The normalcy bias dominates the current mindset in America. 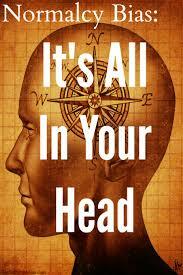 Thinking that our nation could never be destroyed is perhaps the most significant mental blunder we make today. WE ARE AT RISK. But we naturally suppress the distinct possibility that threatening forces exist within and without our borders. It seems impossible to face the fact that the unthinkable can actually take place. George Friedman is a moderate political scientist to whom I frequently refer. I don’t always agree with Mr. Friedman, but I am seldom of the mind that his analysis is without basis. He usually has highly intelligent things to say. His insights reflect the moderate point of view. He seldom takes an extreme position. Because he provides this moderating voice, his wisdom helps me to keep things in proper perspective — in other words, to not make too much of issues that otherwise might cause me to get angry or to fret. Friedman published a fine article this week (November 1, 2016) that’s worthy of careful consideration. (See below for the reprint of his article). His piece begins with the issue of whether America is or isn’t in “deep trouble”. Reflecting on Donald Trump’s presupposition that America is in decline, Friedman reminds us of other times when our country was concerned about the future. And he asks whether U.S. citizens understand that the troubles we’ve faced might pale in comparison to the experience of our European allies when we consider the aftermath of World War I and II. Europe was in shambles with millions dead. America did not experience the same fate at those points in time, although the American civil war did have somewhat the same impact since every town in the Repubic, North and South experienced the loss of many of its brightest and best in the fighting of blue versus gray. As I pen these words, I’m not so sure that Friedman is right. The bottom may be about to fall out in America. We do face an apocalypse either real or metaphoric. The recent revelations about Hillary and Bill, the vast corruption that appears to be evident from the emails written by Bill Clinton’s consigliere Doug Band, documents the extent of ‘pay for play’ so rampant at The Clinton Foundation. This outrageous activity not only threatens Clinton’s candidacy, but should she still win many will assume that the election was (as Trump alleges) “rigged”. This outcome not only would pose a constitutional crisis (should the now renewed FBI investigation culminate in her indictment post-election), it could spawn vast civil unrest, even civil war. And this huge issue does not stand alone. Coupled with this domestic non-tranquility is the possibility that Islamic terrorists will take advantage of “no borders” and uncontrolled immigration. What we see in Europe could be our situation soon enough. Generally speaking, we underplay terrorism in the U.S. because so far the events, while dramatic and horrific, are few and far between. We are still confident that “it can’t happen here” although it has already begun. Additionally, we can count on the New World Order agenda (championed overtly and covertly by Western elites) being implemented point-by-point after a Clinton victory. The United Nations will gain greater control over the U.S. Our sovereignty will be in restricted. 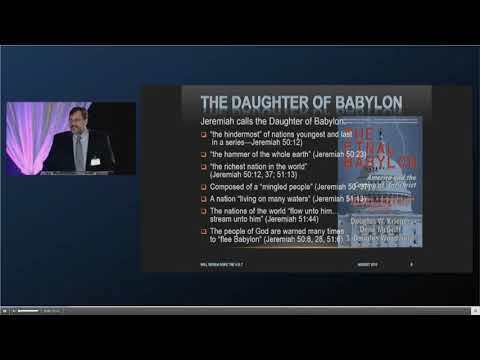 We would indeed find ourselves primed for the one world government Christian eschatologists have been predicting since the time of the Church Fathers in the second century AD. Finally, if we take Putin at his word, the U.S. homegrown agenda for the New World Order threatens Russia existentially. Recall it was the Woodrow Wilson’s vision of the League of Nations and John D. Rockefeller’s plans for the United Nations that have driven globalism. The New World Order is no imagined bogeyman. It is real and it lurks just beneath the surface of government. Most consider “the Shadow Government” one and the same. Furthermore, globalism is the enemy of Putin’s nationalist plan to restore the Russian empire. And his efforts to ready Russia for war can no longer be seen as pure propaganda. Putin is readying his people for a war against America he deems inevitable if the candidate he wants to win in the U.S. Presidential election doesn’t score a victory. And as I have said numerous times in my articles and books, our greatest vulnerability is now – not several years from now. Russia holds a commanding lead in nuclear offensive and especially defensive weapons. And they express the willingness to use these weapons to guarantee their security. At this moment in time, my deepest concern is not that Americans will become uncivil. Friedman is only marginally diagnosing what is transpiring right now. In contrast, I worry most Americans are NOT paying attention to how serious things actually are. 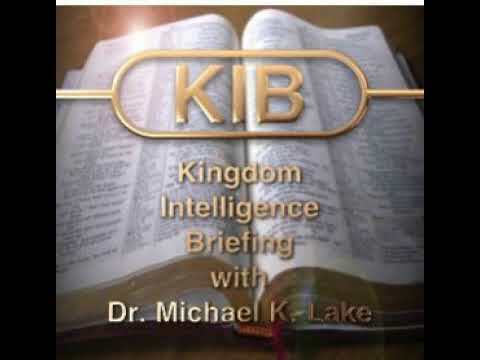 We aren’t preparing ourselves for what may soon happen given the unprecedented events making headlines daily. We can scarcely believe the corruption of the Clinton Foundation because it is so stark and blatant. Our normalcy bias keeps us from acknowledging that the evil is as real as it is. What should we do? For one thing, we should take Russia seriously. We should realize that their fear of what the U.S. intends is not without reason. They speak of CIA actions to destabilize countries that surround their Motherland. They feel provoked and they say so. Putin has pled with the media to convey the message. The media doesn’t oblige. Likewise, we should not assume that a peaceful transfer of power from Obama’s regime to the next is automatic. This is especially true in this instance when our populace fears the consequences of a candidate winning the election that they bitterly oppose. If this emotional sentiment were to combine with evidence the election was rigged (either direction), the eventual outcome could be explosive. It would be, in a word, unprecedented. Additionally, in the last 24 hours as I write this article, we have learned that what has caused the FBI to re-open the Clinton email issue is not FBI Director James Comey having second thoughts concerning his having recommended against prosecution of Clinton this past July, but appears to be the result of a soft, Internet-based coups against Hillary Clinton and indirectly, President Obama. Dr. Steve Pieczenik, co-author of the many Tom Clancy books, and the real-life person upon which the character of Dr. Jack Ryan was based, announced that individuals from 16 different intelligence departments (likely excluding the CIA) were informally banded together “with the goods” in hand to force changes in the American political system. This includes a strong recommendation for Hillary Clinton to step aside lest they bring forth a lengthy stream of damning evidence to the corruption of Clinton and the Obama administration that would potentially harm the nation. Dr. Pieczenik states without equivocation that it is his group that is working with Wikileaks to publish this astounding information. (Implicitly he is stating that it is American Intelligence personnel and not Russia that is leaking the information about Hillary Clinton and the ring of corruption surrounding her). Here is a link to his 4-minute announcement: CLICK HERE. As he states, this is a second American revolution. Therefore, in conclusion, my counsel is that we take the issues we face at this time very seriously. We should assume that the worse case scenario is not out of the question. We should warn our leaders of the possible results of an election whose results are challenged by a majority of Americans. We should make sure that neither candidate or their surrogates foment civil war without overwhelming evidence that force is the only answer. Nor should we ignore Putin’s concerns. We should seek understanding and determine whether the preparations for war by Russia are real and for cause. Assuming they are, we should seek to determine whether we are at fault for creating the circumstances where they have concluded war is their only alternative. We should attempt immediately to defuse the ticking time bomb. 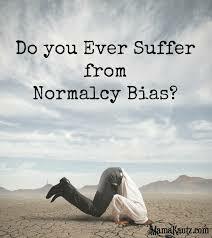 In short, we must awake from our case of normalcy bias. Bad things do happen. The unimaginable can take place. It seems plain enough that we are, like that old song from Barry McGuire in the 1960s, on the eve of destruction. If we aren’t able to come to grips with the predicament we are in, that eve will inevitably break into a unfathomable dawn too dire to contemplate. For more of Douglas Woodward’s writings on what is happening in geopolitics and the fate of America, pick up a copy of THE NEXT GREAT WAR IN THE MIDDLE EAST available at Amazon.com and their many distributors. His books are also available in many eBook formats including Kindle. 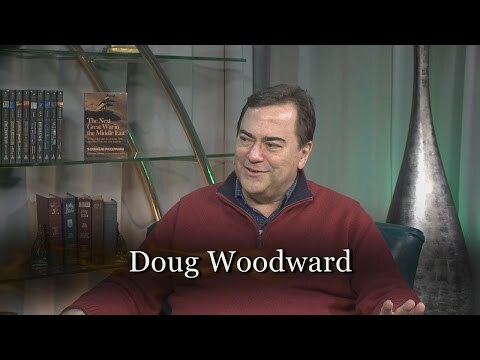 From his blog to his books, Doug Woodward is one of today’s most comprehensive prophecy teachers. This is a serious work, but eminently readable and understandable. The reader is challenged to consider a different path to culmination of this age than is currently being taught by other prophetic ministries. I highly recommend it, even for the skeptic. Prophecy is crystal clear as we look back, but it takes more work as we try to look forward. Woodward appreciates this challenge. Fresh eyes are placed on the role of Russia, Turkey, the USA, militant Islam and Europe in light of scripture (which is the guiding principle in all of Woodward’s proposed scenario). 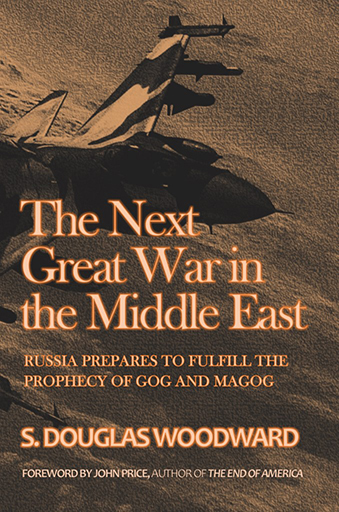 If you are looking for a modern, biblical, serious work which addresses end time prophecies in an easily digestible form, The Next Great War in the Middle East is a must-read and should be part of your prophetic reference library. In retrospect, we were all fools not to expect the Great Depression or Pearl Harbor. If In retrospect, we were all fools not to expect the Great Depression or Pearl Harbor. If we missed those, then what else are we missing? Someone will be happy to show you what else you are missing and with utter sincerity, he will try to convince you that you are not two reasonable people disagreeing, but that he is trying to save the country, and you are trying to destroy it. Get intelligence from renowned expert George Friedman and his hand-picked team of analysts. Exclusively from Geopolitical Futures. We value your thoughts and opinions. If you have a comment on the article above, drop us a note at comments@geopoliticalfutures.com or simply reply to this email. Your comments will not be published and will only be shared with our team of analysts. Was this email forwarded to you? Join our free newsletter now for more articles like this. Remove s.douglas.woodward@gmail.com from this list. © 2016 Geopolitical Futures LLC. All rights reserved. Previous PostIS THE FBI READY TO LAUNCH A PURGE TO SAVE THE REPUBLIC?Next PostTHE DEVIL YOU SAY? AND SATANIC RITUAL ABUSE?